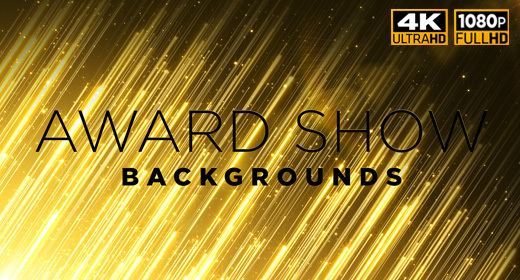 MotionRevolver’s Award Show Backgrounds bundle features a set of 6 different Award Show animations. Perfect for any Award Show or Award Ceremony themed project for Movie awards, Film awards, Music awards, Theater awards, etc. Each of the Award Show background is 20 seconds long, and infinitely loopable for any duration.